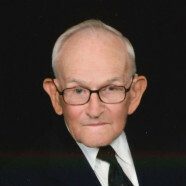 Tuesday, January 15, 2019 5:00-8:00 p.m.
Wednesday, January 16, 2019 8:30-9:30 a.m.
George P. Hollenkamp, age 91, of Aviston, died Sunday, January 13, 2019 at Aviston Countryside Manor. He was born June 14, 1927 in Aviston, a son of the late George H. and Eugenia, nee Kniepmann, Hollenkamp. In addition to his parents, he was preceded in death by a sister, Florence Seiffert and her husband Joe; brother, Virgil Hollenkamp; father-in-law and mother-in-law, Henry and Louisa, nee Schleper, Pingsterhaus; and sisters-in-law and brothers-in-law, Loretta Pingsterhaus (infancy), Quinton Pingsterhaus (infancy), Cecilia Buss and her husband Greg, Raymond Pingsterhaus, Regina Emig and her husband Wilfred, Alvin Pingsterhaus,Ralph Pingsterhaus, and Marcellus Ottensmeier. Surviving are his wife Rosina, nee Pingsterhaus, Hollenkamp of Aviston, whom he married May 8, 1957 at St. Augustine Catholic Church in Breese; children, Gary (Louella) Hollenkamp of Breese, Diane (Dan) Athmer of Damiansville, Brad (Sara) Hollenkamp of Pocahontas, Eric (Pam) Hollenkamp of Aviston, and Mara (Tom) Koerkenmeier of Aviston; grandchildren, Samantha Hollenkamp, Mary Jo Hollenkamp, Gina (Jeremy) Haar, Jessie (Michael) Sudholt, Casey (Matt) Schuette, Megan Kujawa, Alana Hollenkamp, Lucas Hollenkamp, Dylan Hollenkamp, Noah Hollenkamp, Clare Koerkenmeier, and John Koerkenmeier; great-grandchildren, Conlan and Braelyn Haar, Cal and Ryce Strotheide, and Weston Sudholt; sister, Ruth (Rich) Timmermann of Breese; sisters-in-law, Marie Hollenkamp of New Baden, Imelda Pingsterhaus of Beckemeyer, and Rita Ottensmeier of Trenton; and nieces and nephews. George was a veteran of the United States Army, serving during the Korean War and was a lifelong dairy farmer on the farm where he was born and raised. He was a member of St. Francis of Assisi Catholic Church and Holy Name in Aviston, Aviston American Legion Post 1239, and the Clinton County Farm Bureau. Funeral Mass of Christian Burial will be Wednesday, January 16, 2019 at 10:00 a.m. at St. Francis of Assisi Catholic Church in Aviston with Fr. Daniel Friedman presiding. Interment with full military honors will follow in St. Francis Cemetery, Aviston. Visitation will be Tuesday, January 15, 2019 from 5:00-8:00 p.m. and again on Wednesday, January 16, 2019 from 8:30-9:30 a.m. at Moss Funeral Home in Breese. Memorials may be made to the donor’s choice and will be received at the funeral home. 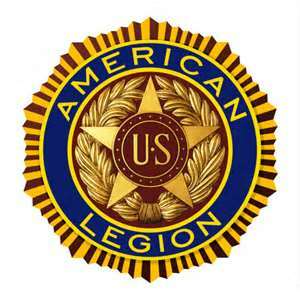 The Aviston American Legion Post 1239 will hold services at 7:00 p.m. Tuesday evening at the funeral home.